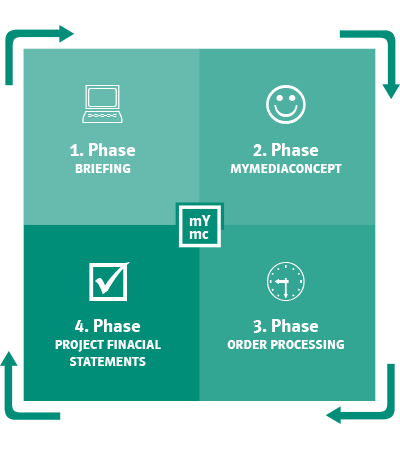 It is exciting that you are taking the time to get to know more about MYMEDIACONCEPT. Your company needs creative marketing ideas and a fresh marketing concept? Your advertising agency needs a helping hand to handle current projects? Your OWN company needs a good design and marketing concept? Then MYMEDIACONCEPT is just the right place for you! 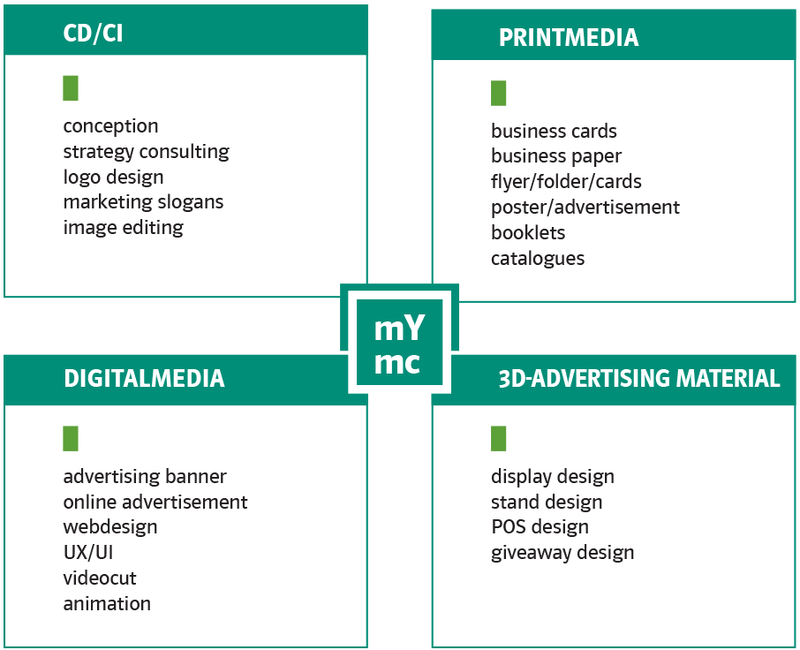 MYMEDIACONCEPT stands for the perfect media concept regarding graphic design, style and content. It is individually created for your product and company. Together we shall create an exciting and creative marketing campaign, that will meet the expectations of your cusomers. First we will set the project goals, define the scopes, and necessary requirements regarding the corporate design. I will take all of your wishes, ideas and imaginations into consideration and then deliver a draft of the design proposal. All of this can be done face to face, via e-mail or by phone. I will present to you a selection of different online and offline advertising material for your project or company. You may choose the suitable advertising material and I will help you in the decision process to compile your perfect media concept. If you are an advertising company your customer will be included in the decision. Once all of this has been completed I can show or send you the final offer. Customer satisfaction and budget are a key to success, therefore consultation will occur regarding the wide range of emerging topics of the project, so we can minimize risks and accommodate any requests for changes you may have. The advertising material from your media concept is finally completed online and is being delivered. Closing costs and delivery note are to follow. I’m looking forward to your next order! Through my many years of professional experience in agencies and industry, I have a wealth of experience and can quickly familiarize myself with a wide range of topics. Process-oriented projects for corporate customers are just as familiar to me as the implementation of creative solutions and marketing concepts from print media, to give-aways, to 3D advertising and online presentations. My name is Christin Struppert. I am a Freelancer in graphic design and marketing management and offer my clients individual, advertising-strategically original media concepts. These give companies and products their individual character and recognition through uniform design solutions. Flexibility in order processing, turn key solutions and a correct way of working in terms of time and costs are my personal requirements. Contact person for the marketing brand management of a concern in the field of measuring tools for the realization of shelf presentations and secondary placements at the POS for international roll-outs and events.